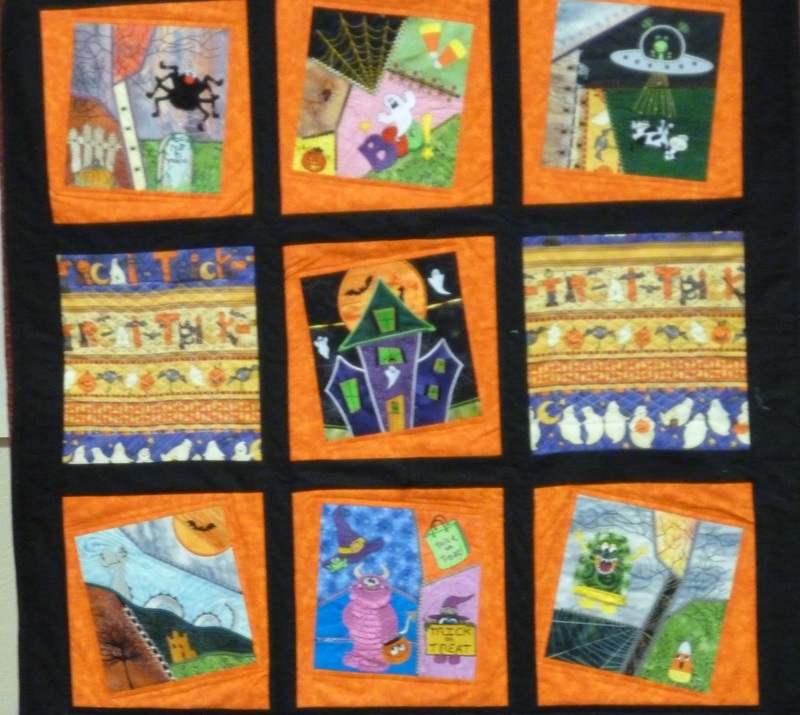 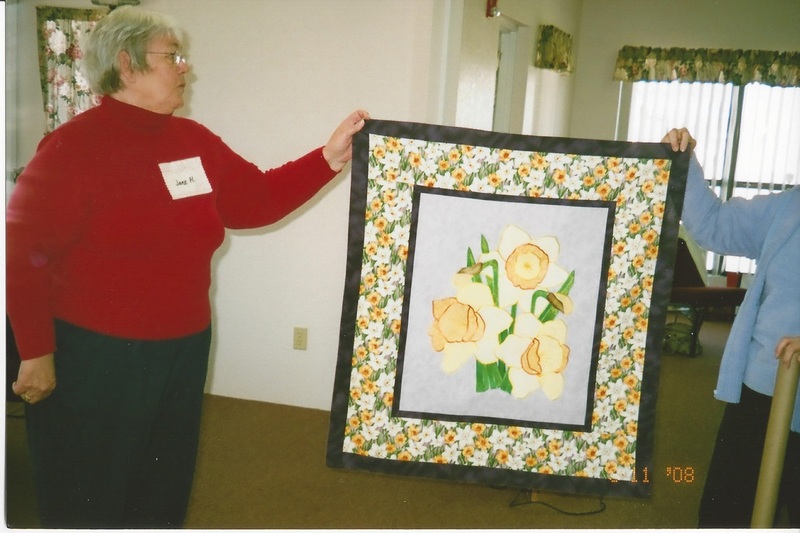 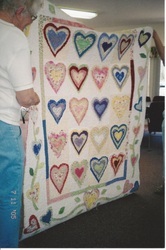 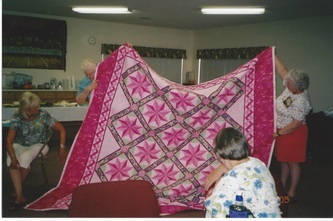 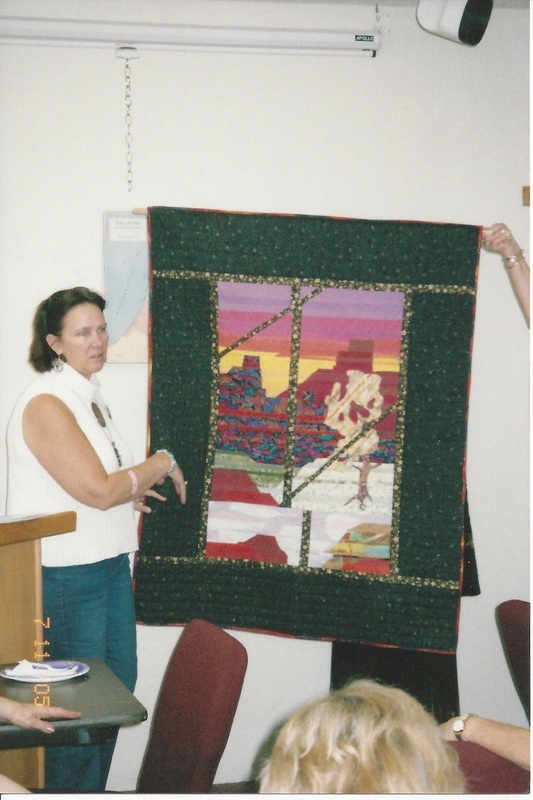 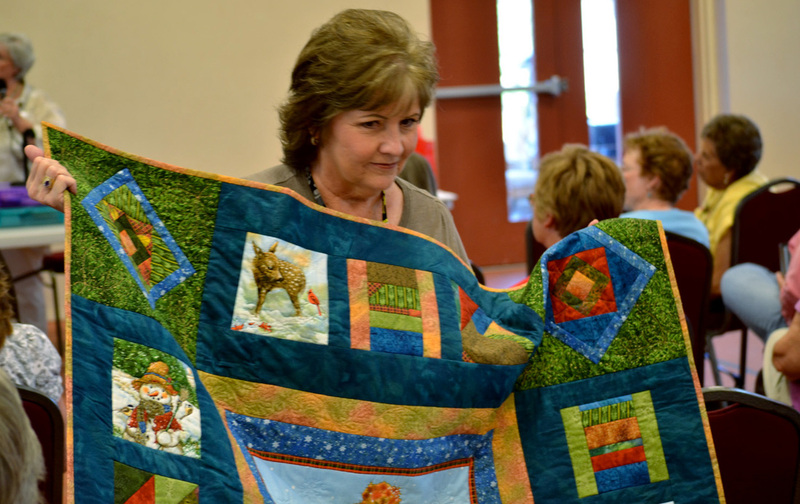 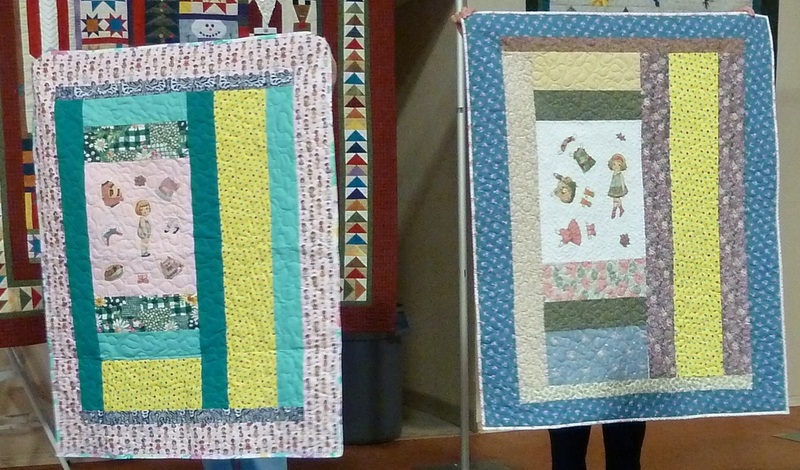 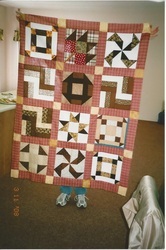 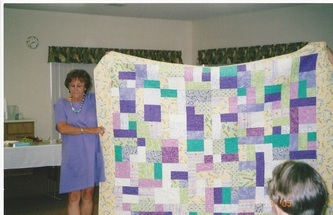 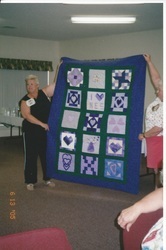 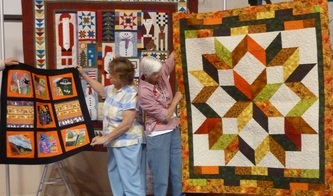 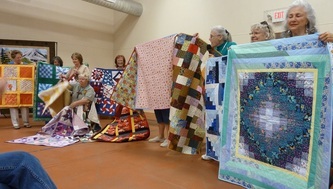 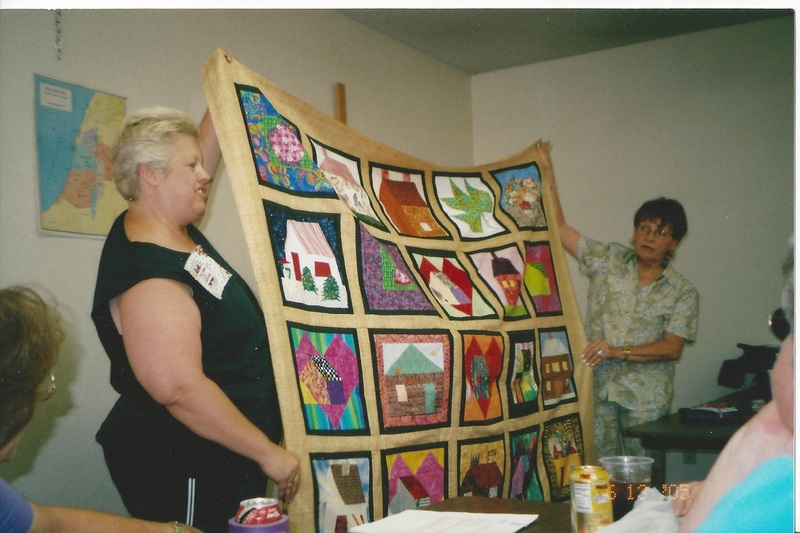 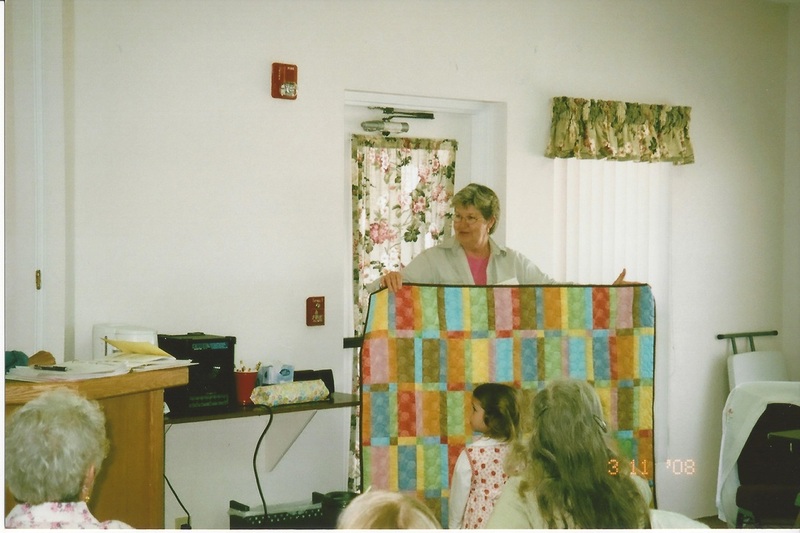 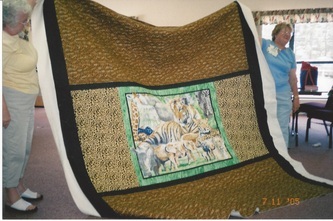 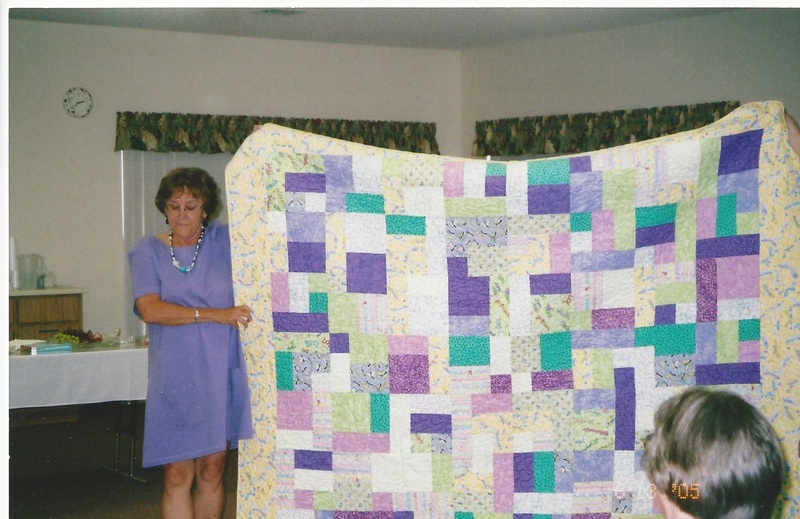 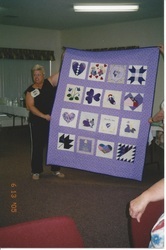 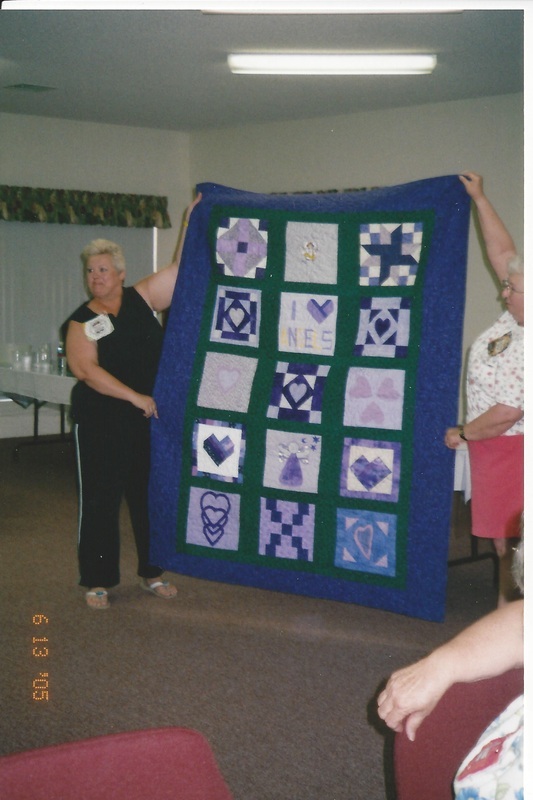 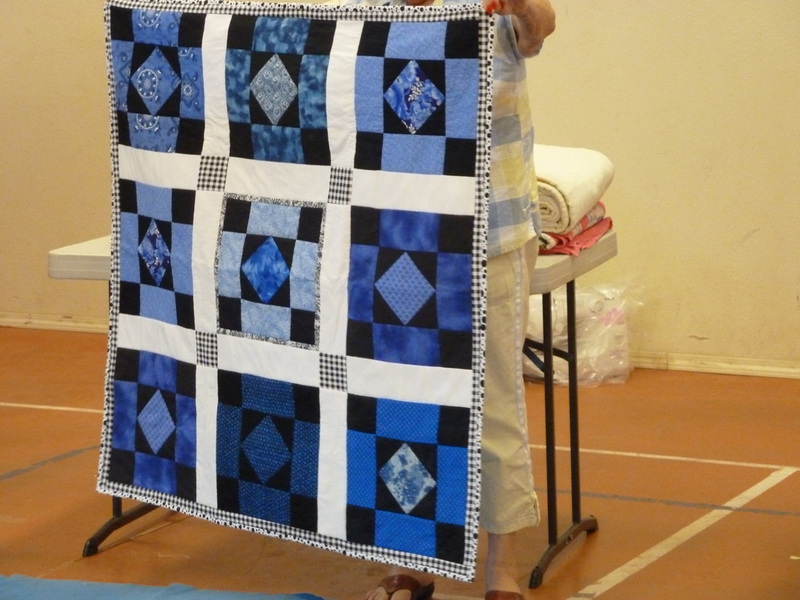 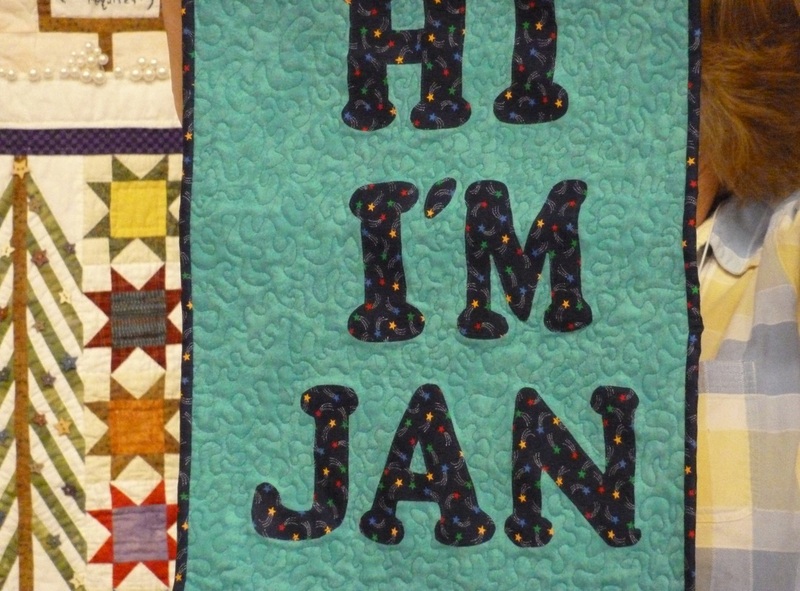 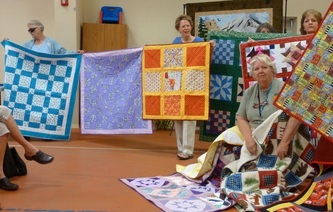 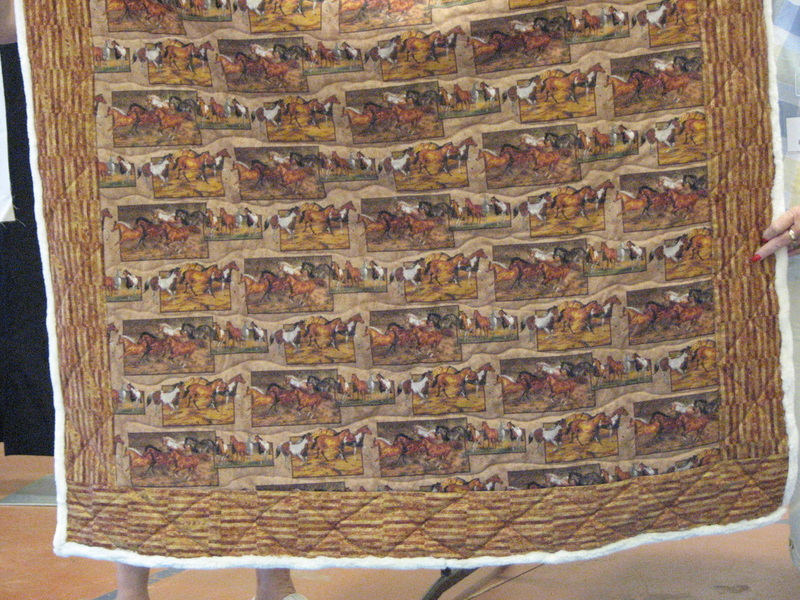 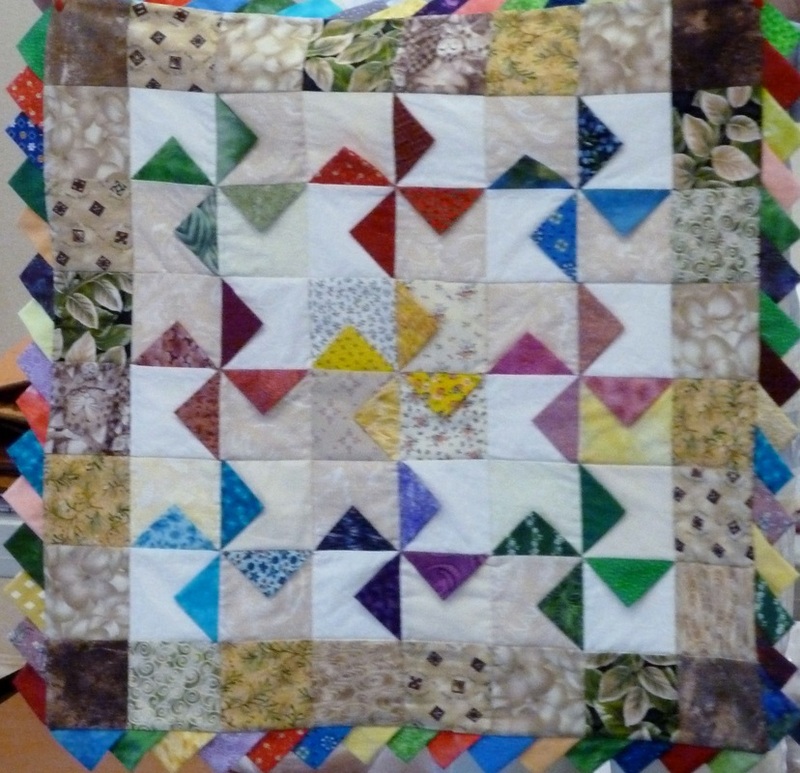 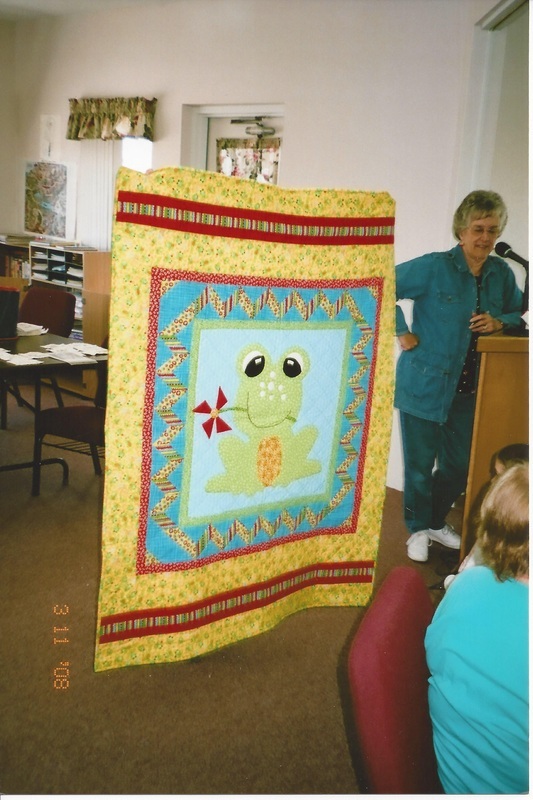 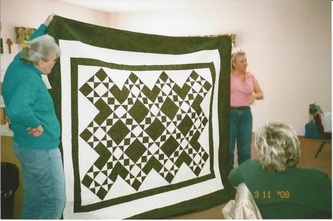 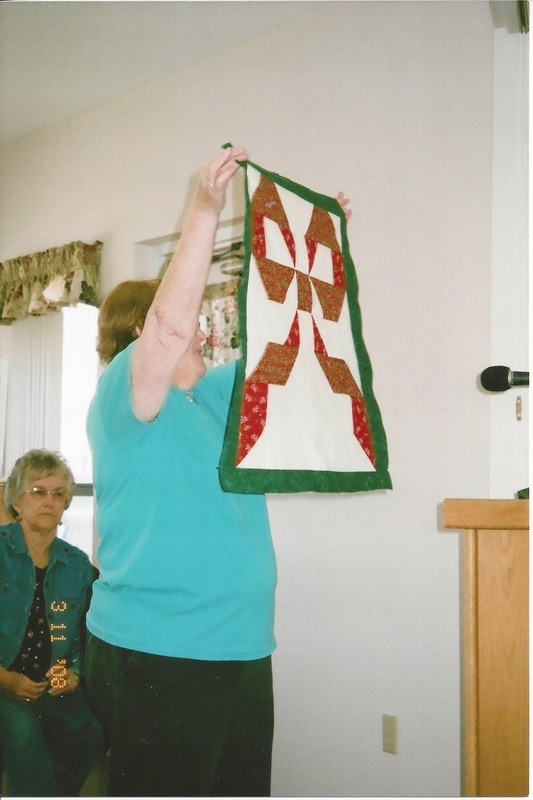 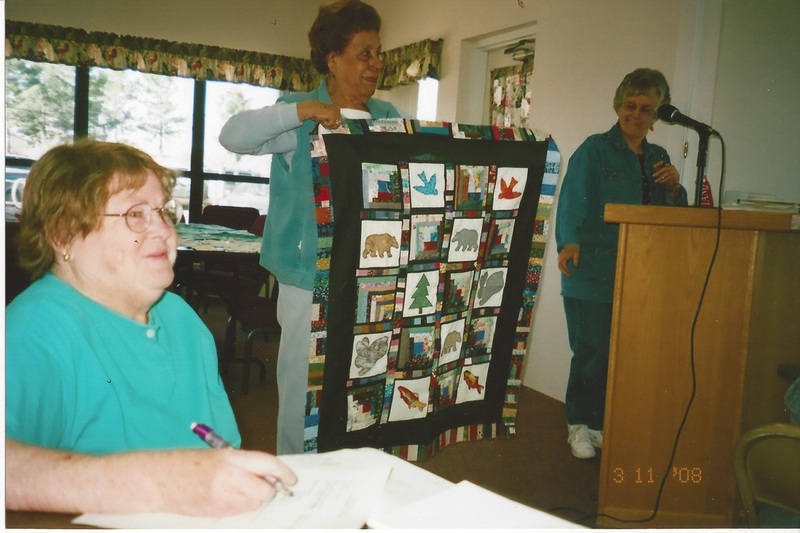 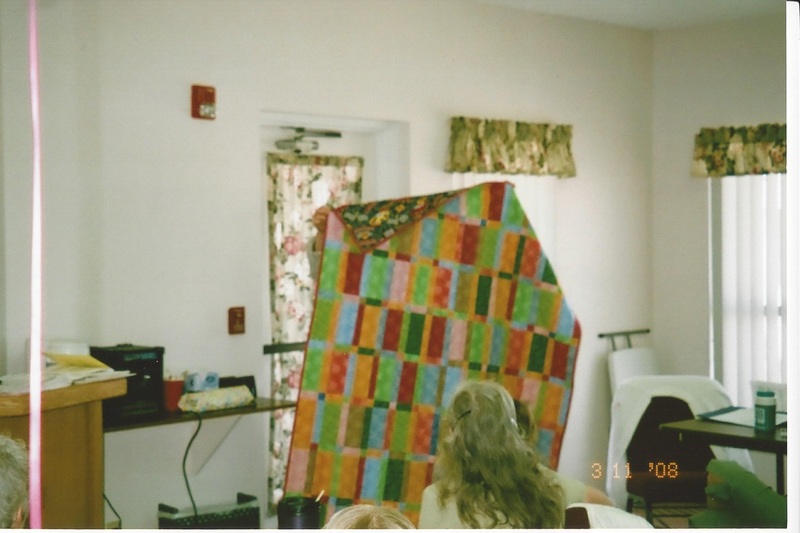 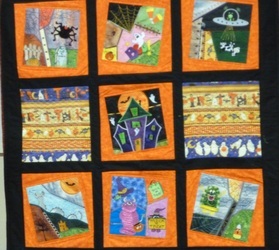 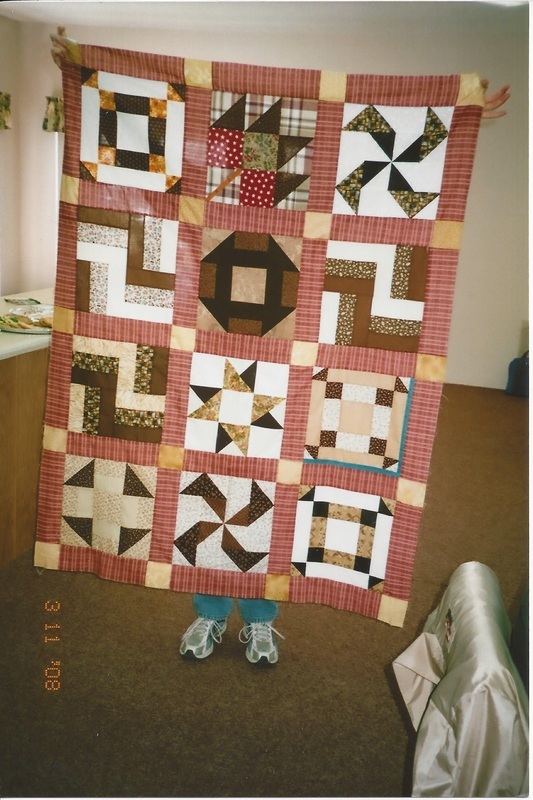 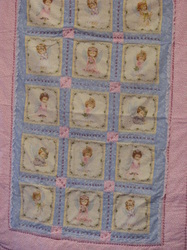 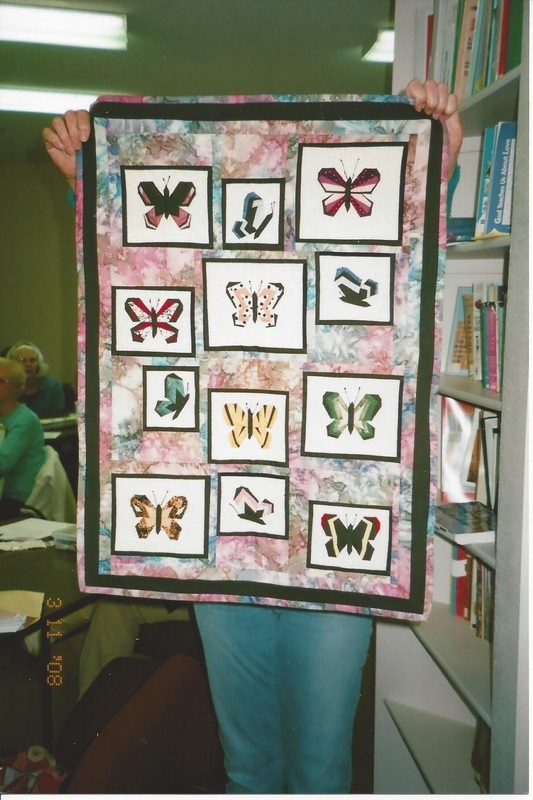 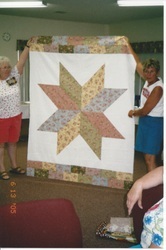 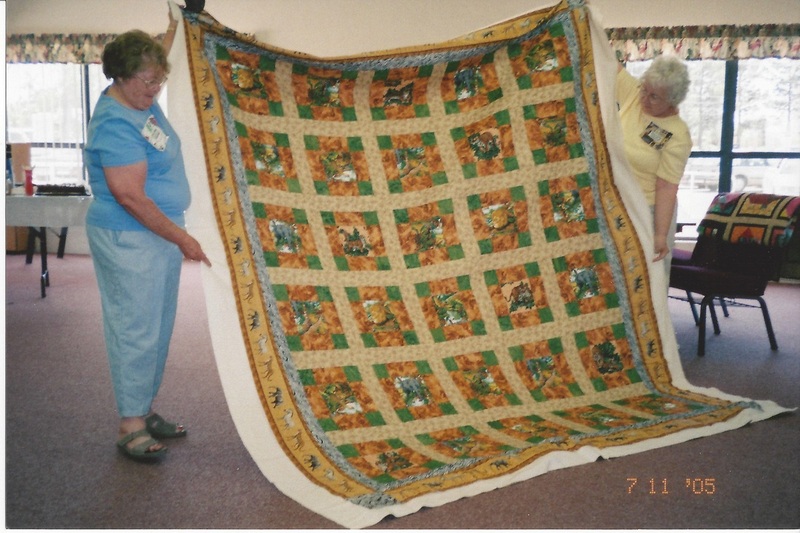 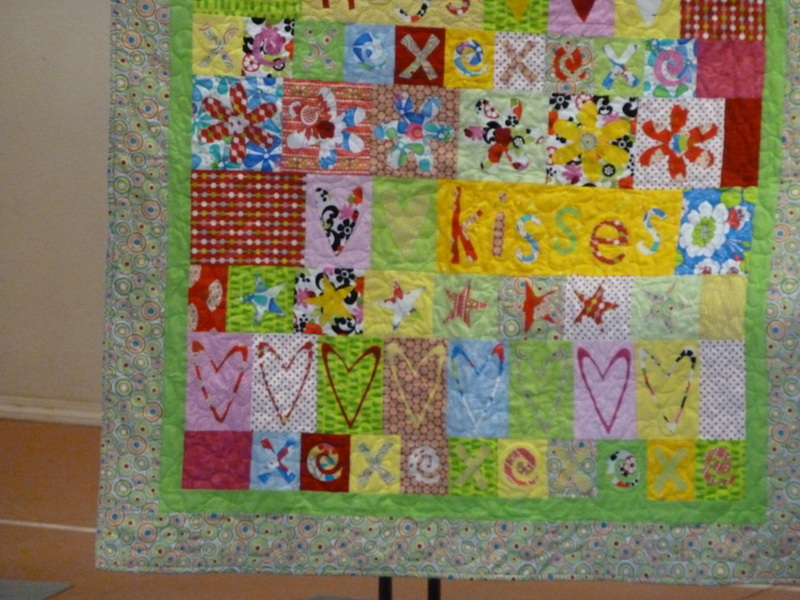 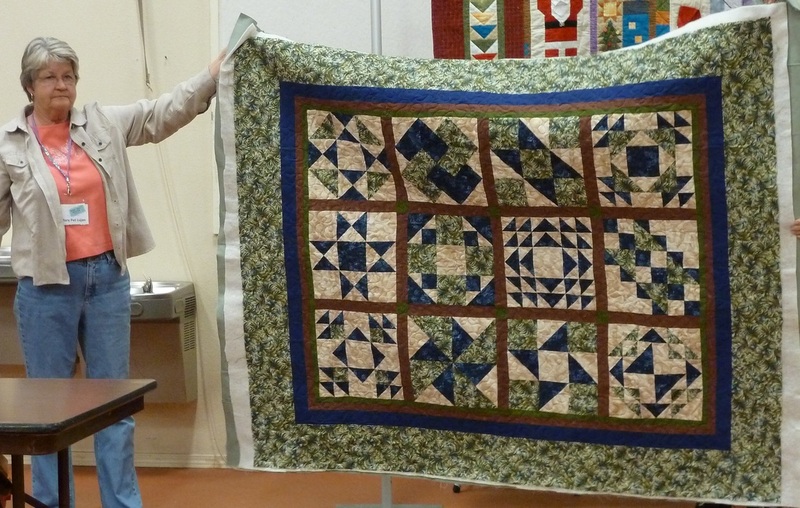 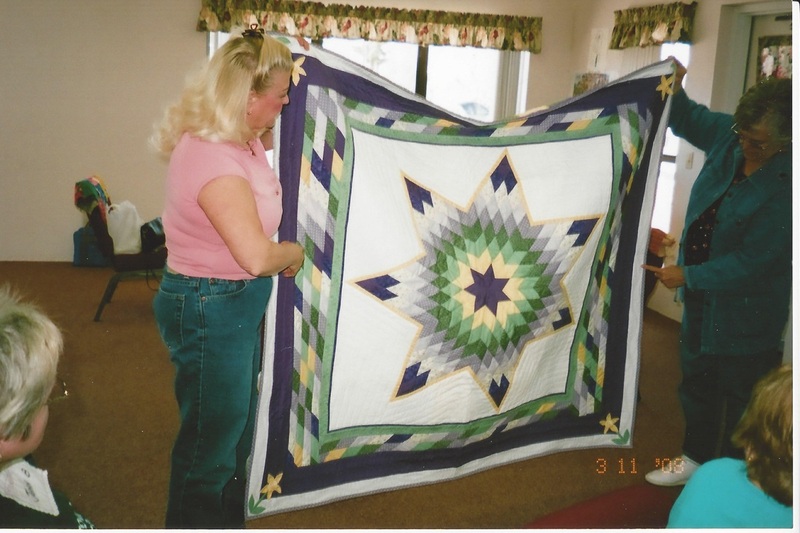 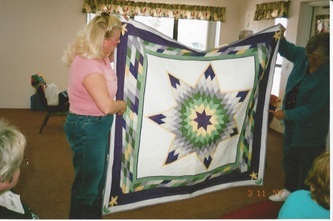 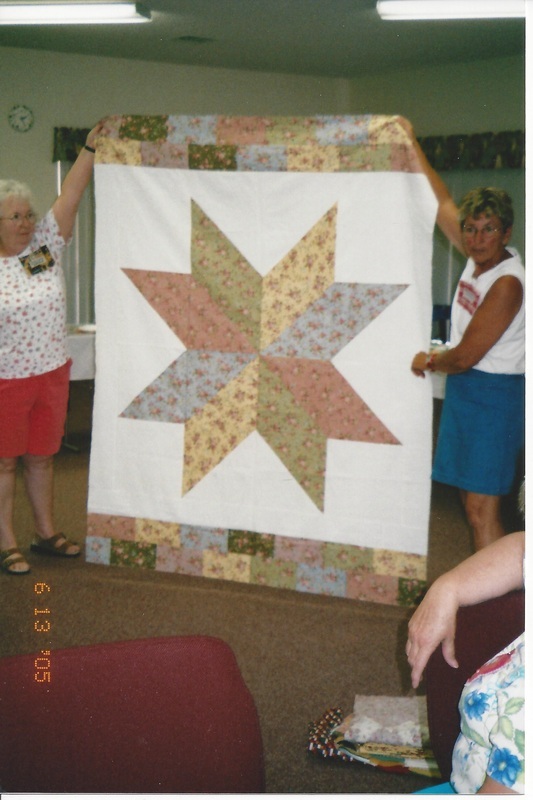 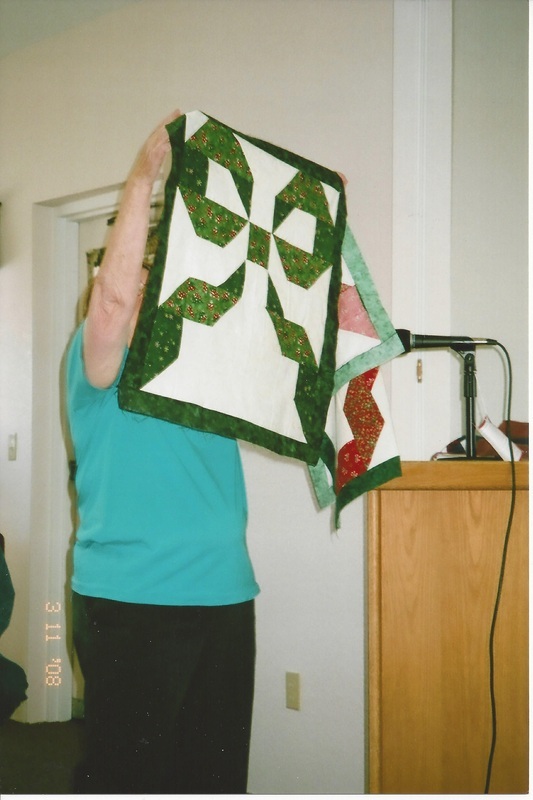 It is always inspiring to look back and remember the beautiful quilts created by our current and former members. 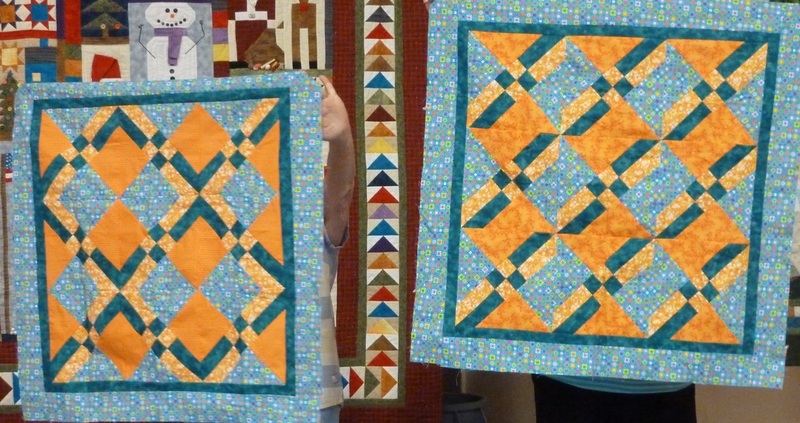 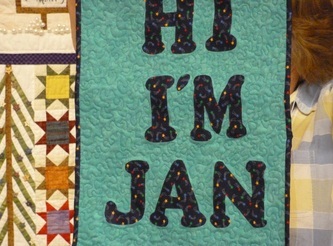 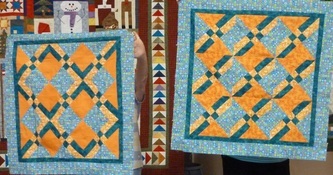 So many quilts, so little time! Enjoy our show! 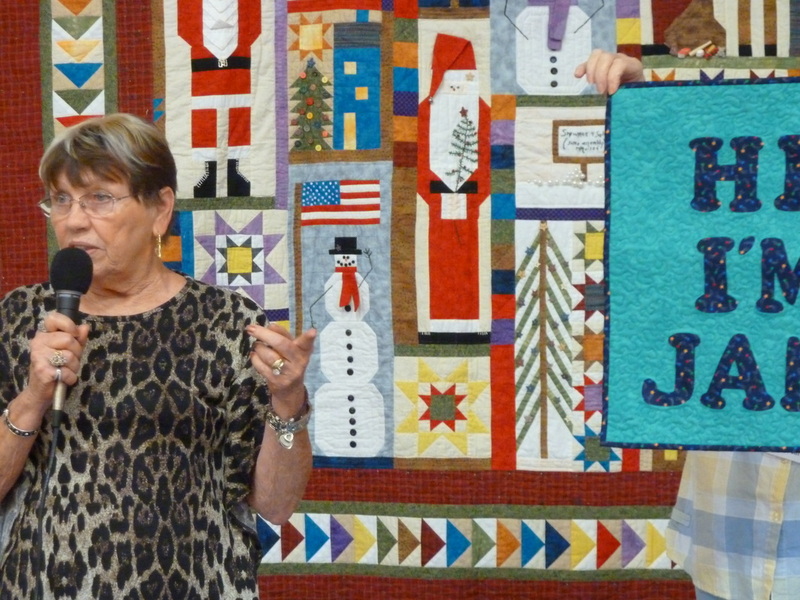 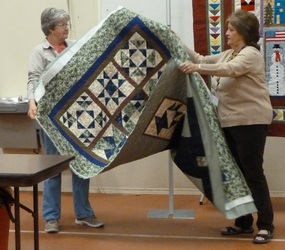 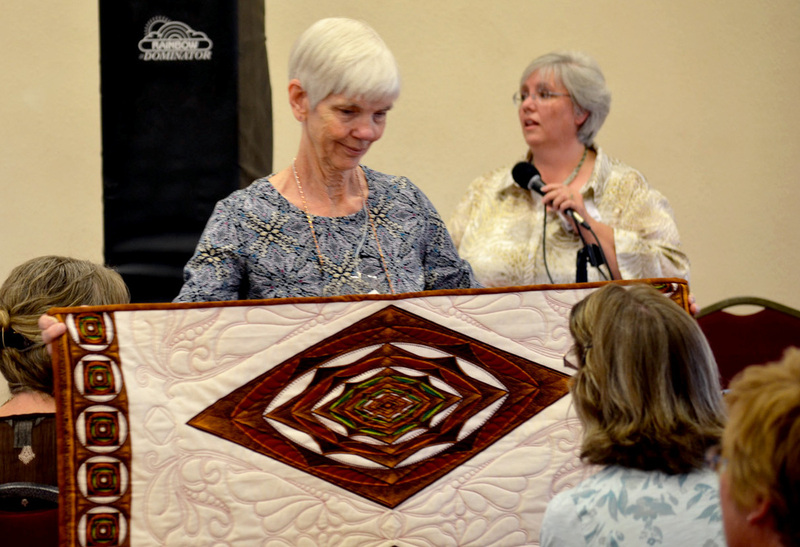 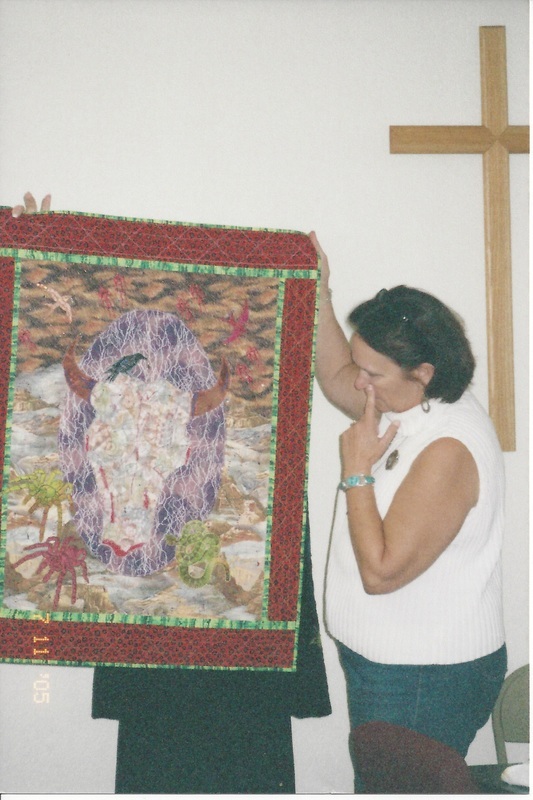 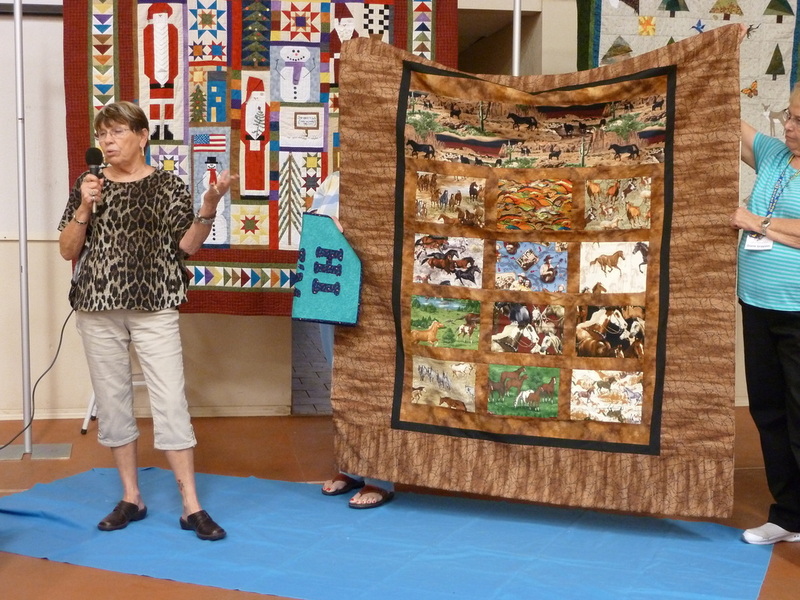 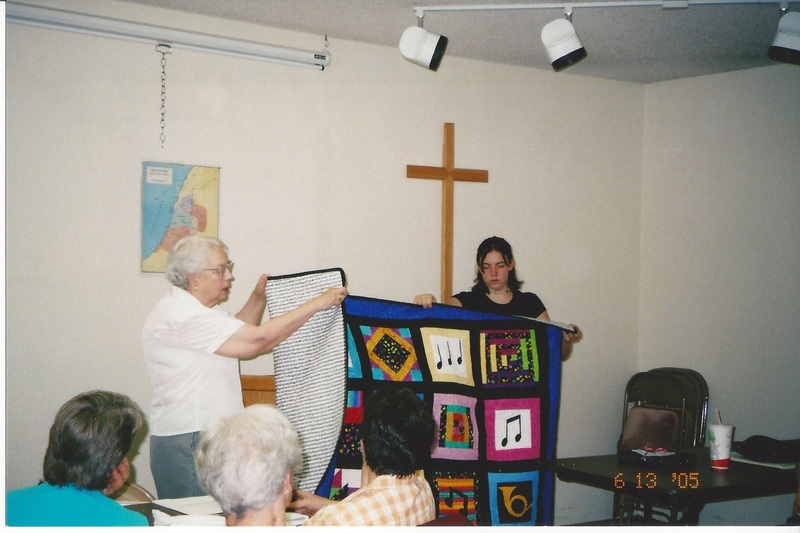 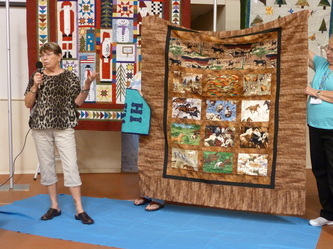 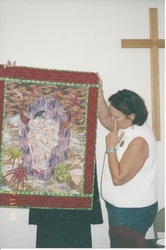 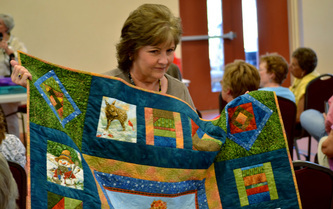 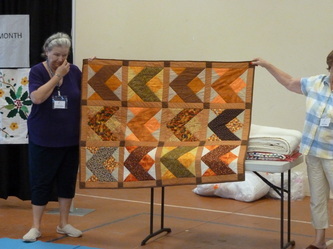 L- Pat Lujan and R- Brenda Burchill display the quilt to be donated to the Church. 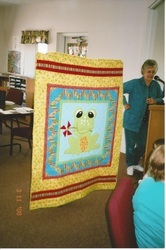 Quilt to be donated to Church - Vicki Baptista quilted. WOW! 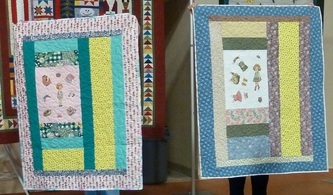 16 quilts turned in for the Comfort Quilt Program. 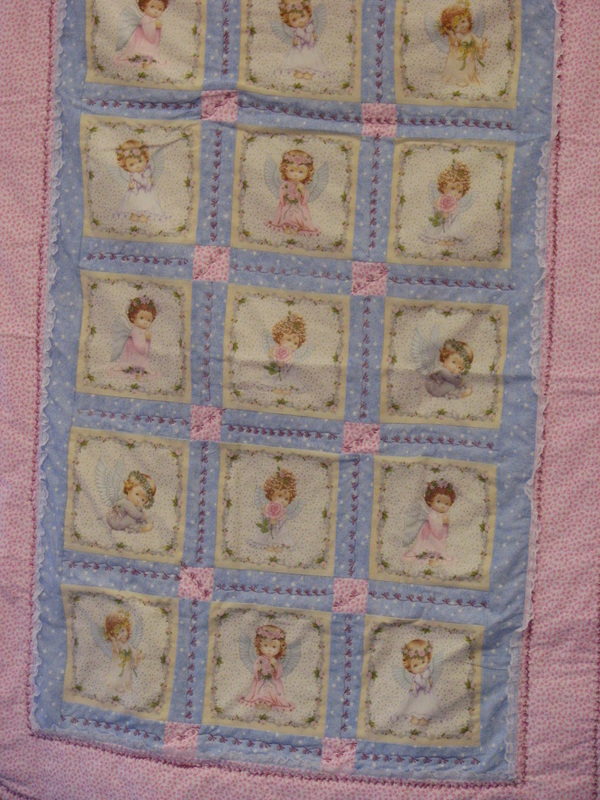 Head Start Paper Doll quilts - part of the 12 that were turned. 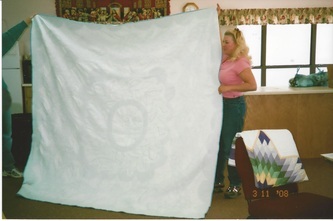 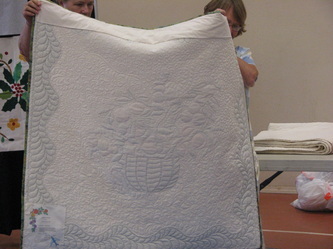 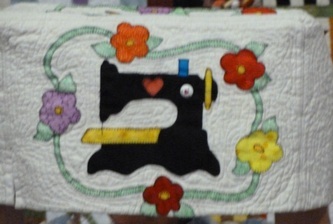 Sandi White shows a garage sale super find Diane Holley original - sewing machine cover. 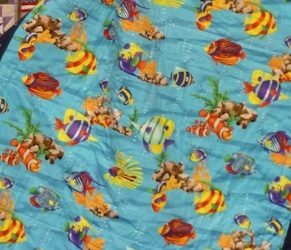 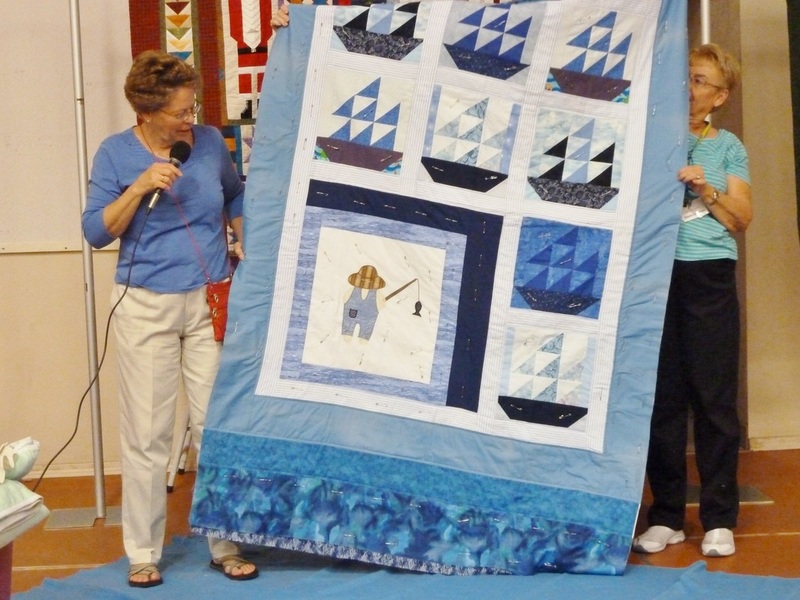 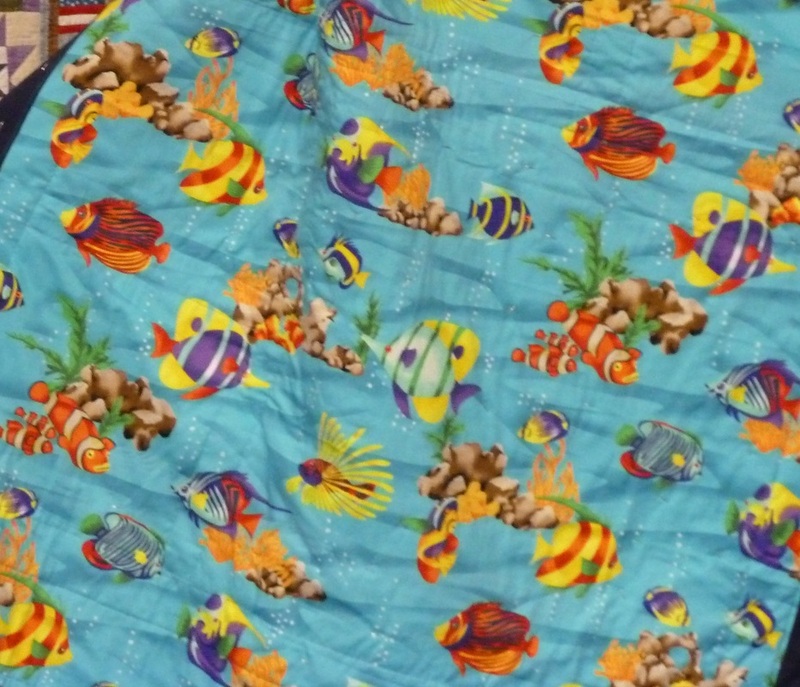 Joanne Fritterer's sailing quilt - for grandson. 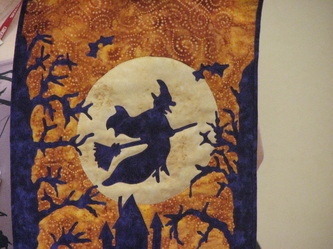 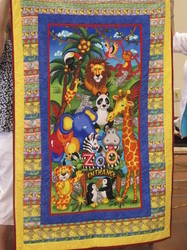 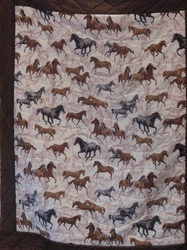 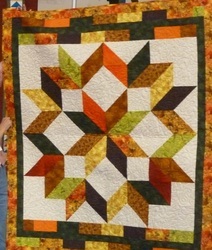 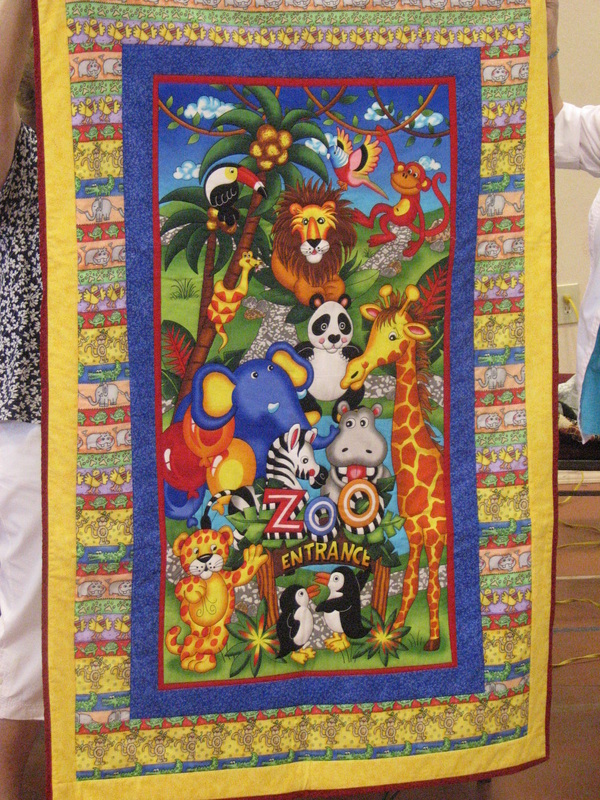 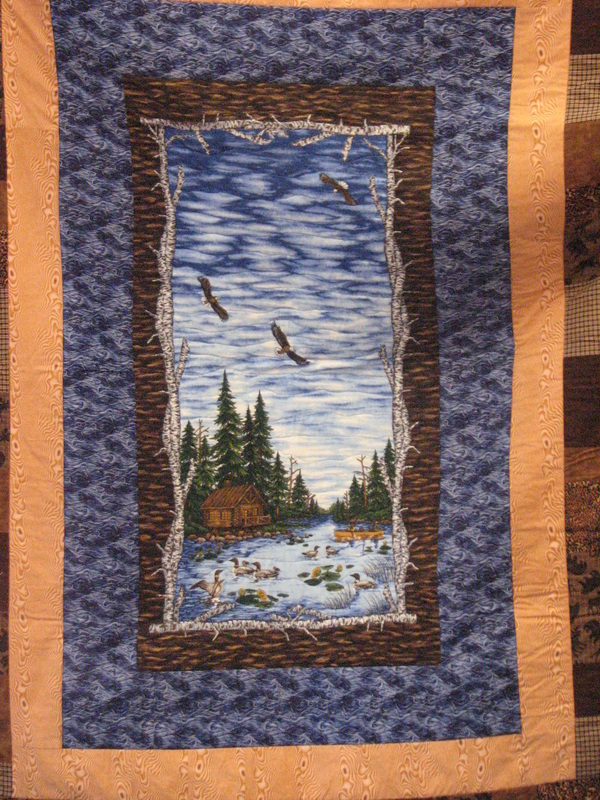 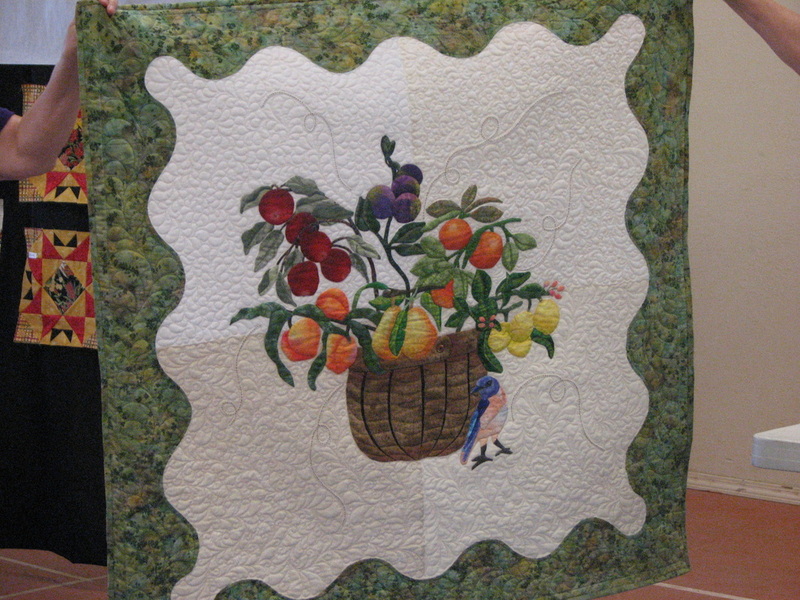 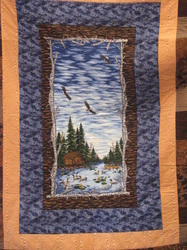 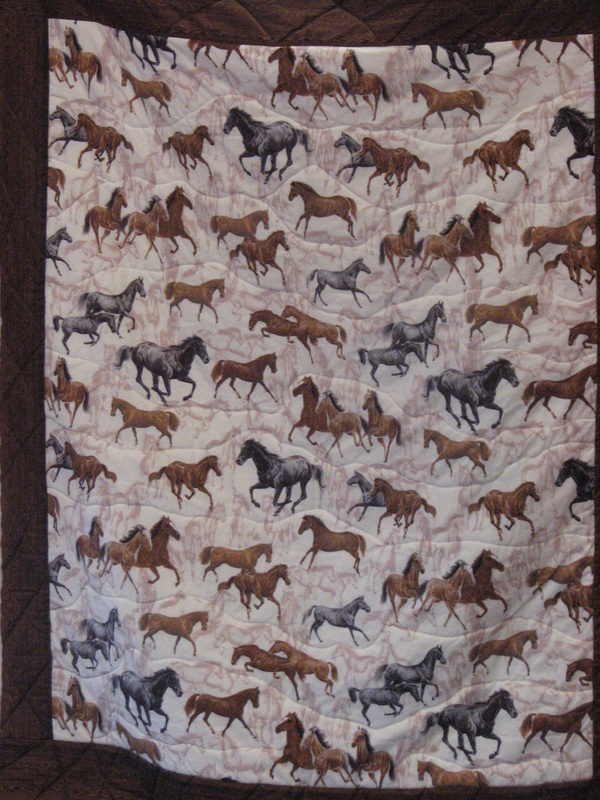 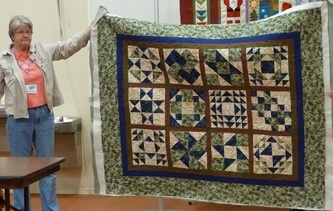 Applique Society entry quilt - showing beautiful custom quilting. Yet another Show & Tell with beautiful fun projects. 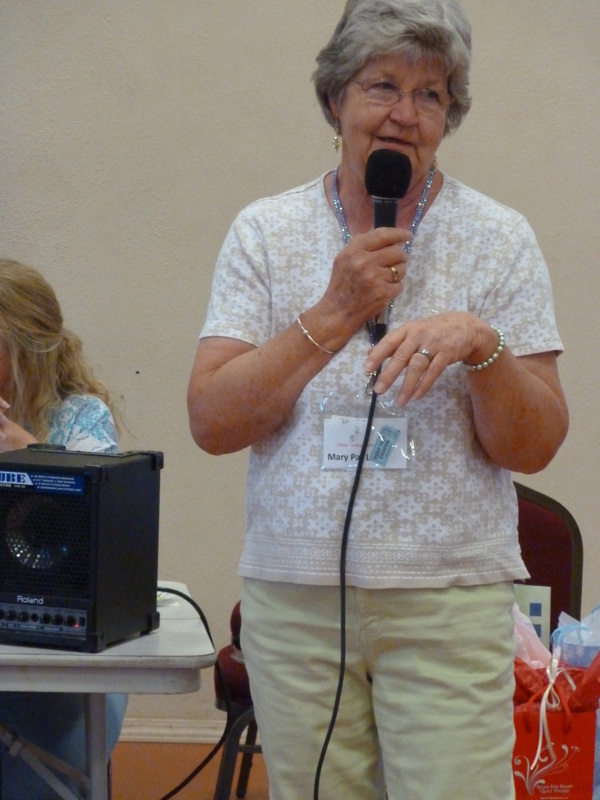 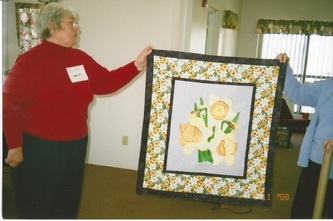 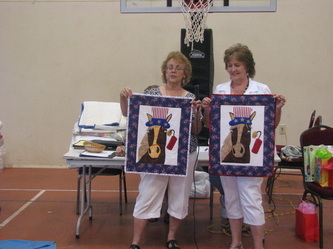 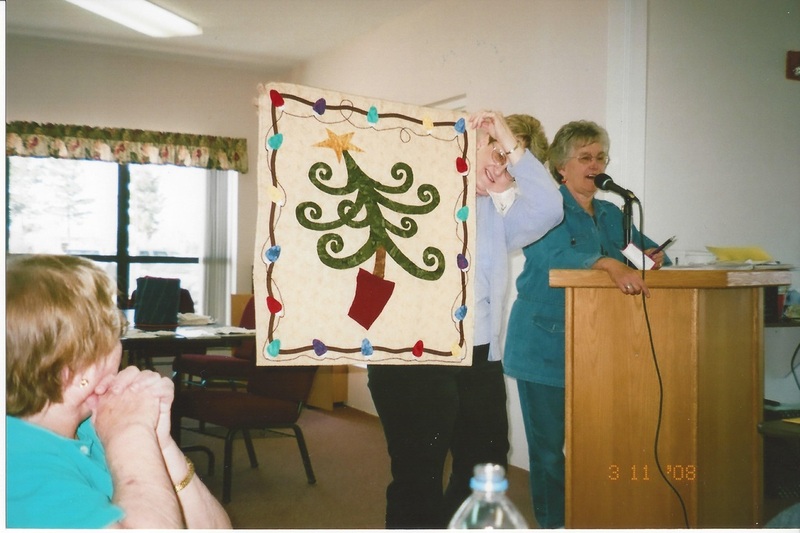 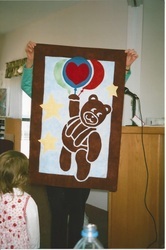 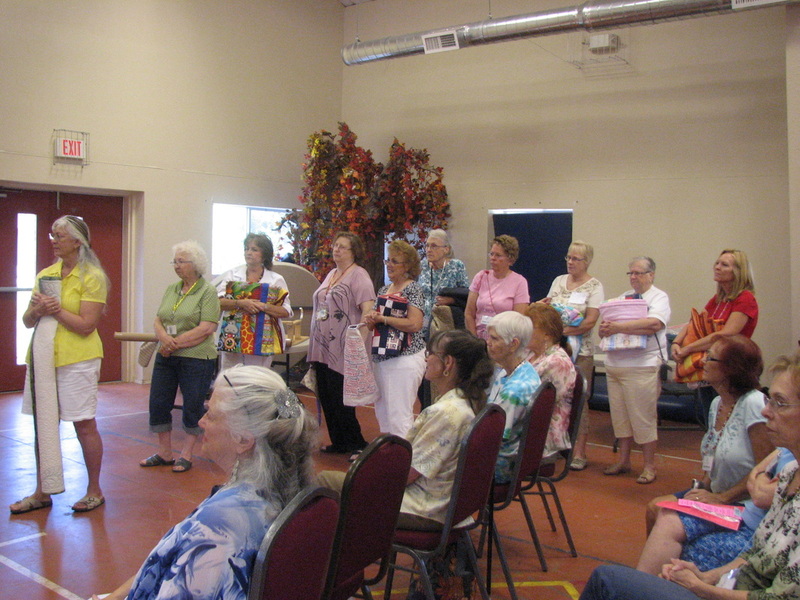 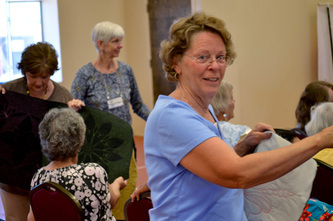 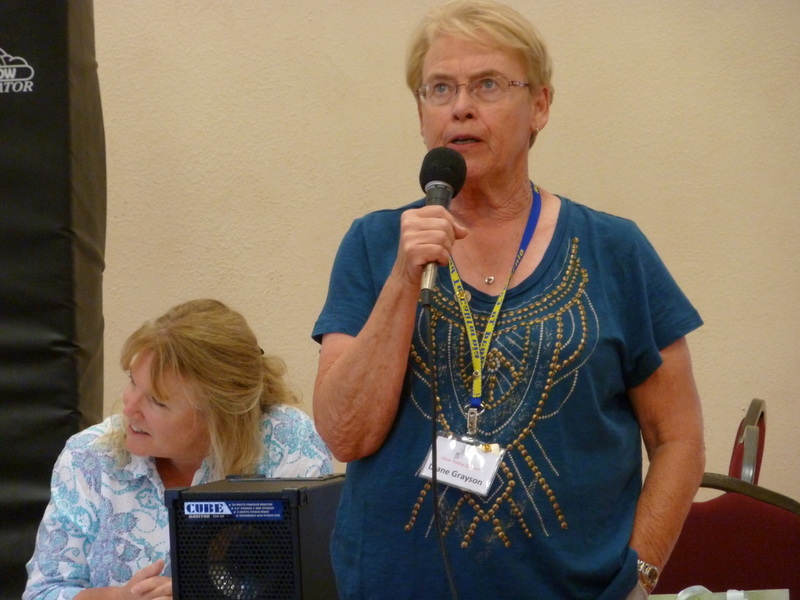 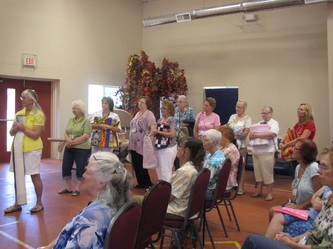 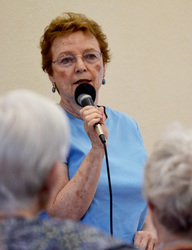 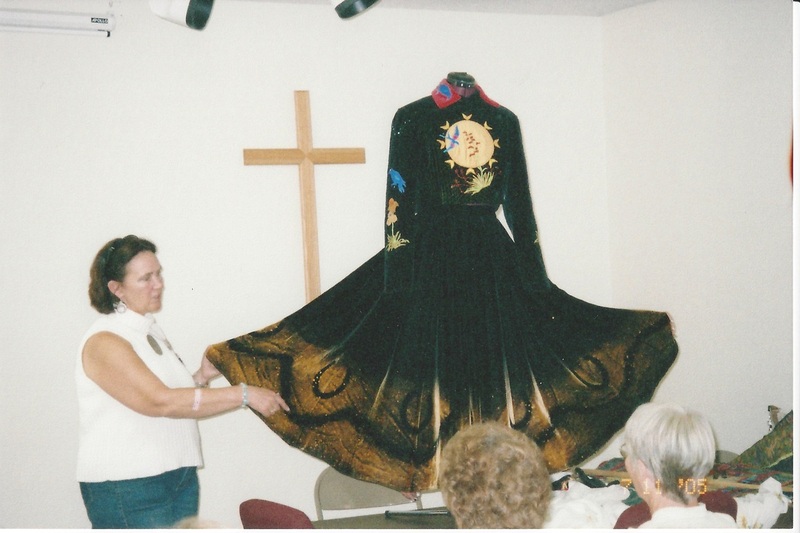 The Applique Society explained fabric painting was used in part on their Society entry.